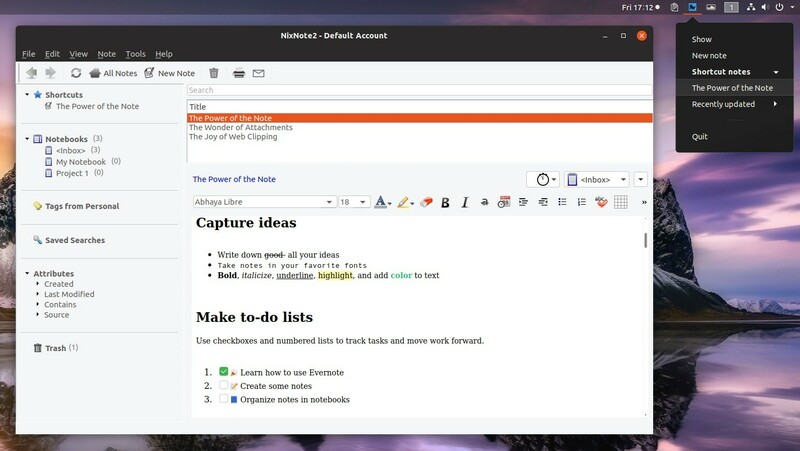 NixNote2, an unofficial, open source Evernote client for Linux, was forked recently, with the first experimental release being made available for download back in October. The first stable version of the fork (2.1) was released about about two weeks ago, bringing new features and bug fixes, as well as AppImage binaries to make it easy to run on any Linux distribution. It looks like the Nixnote2 2.1 fork developer tried to contact the original maintainer, but he couldn't be contacted. That's why instead of merging the new features and bug fixes with the main project, a fork was created. 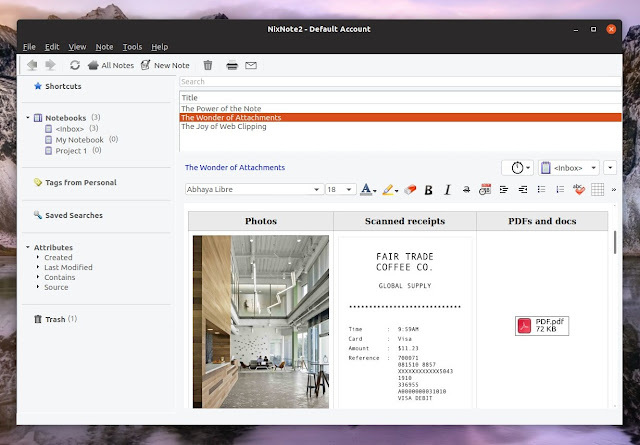 The fork developer did manage to get access to the Nixnote2 Ubuntu PPA (which was maintained by a third-party), so Ubuntu and Linux Mint users are able to easily install the latest Nixnote2 2.1. Fixed calling various Nixnote2 options from the command line (and thus, assigning global keyboard shortcuts via system shortcuts settings). The application is now also available in the AppImage binary format, making it available on any Linux distribution. There's a limitation regarding this though - themes don't work when using the Nixnote2 AppImage. These are just a few of the changes between the last Nixnote2 2.0.2 version and the 2.1 version of the fork. You can find the major changes in Nixnote2 2.1 here, and a list of all the changes by visiting this link. On the project downloads page you'll find AppImage binaries for either the latest stable 2.1 release, continuous builds, and continuous development builds. The Nixnote2 fork wiki includes information about running the AppImage on Linux and how to integrate it in your applications menu. The Nixnote2 fork page also mentions an Arch Linux User Repository package, and how to build the application from source. To add your Evernote account in Nixnote2, click on the sync icon (or Tools -> Synchronize from the menu) and enter your Evernote credentials, then authorize Nixnote2 to synchronize to your Evernote account. You'll probably also want to take a look at the Nixnote2 2.1 getting started guide.